In the wake of Tuesday’s election, wherein the Republican Party took control of the U.S. Senate, captured governorships in key battleground states, increased their majority in the House and generally stole the Democrats’ lunch, Calbuzz has a word of advice for partisan and media hysterics alike: Take a deep breath – this is what happens every six years into a president’s term. As Charlie Cook wrote presciently back in January, in five out of six second-term mid-term elections since World War II, the incumbent president’s party has lost an average of 29 seats in the House and six in the Senate. The only post-war exception was in 1998, when backlash against the GOP impeachment of President Bill Clinton led to a five-seat gain for Democrats in the House and no change in the Senate. When we ponder their legacies, we don’t think of the 48 seats in the House and 13 in the Senate that Dwight Eisenhower lost in 1958, the five House seats and eight Senate seats that (the now sainted) Ronald Reagan lost in 1986 or even the 30 seats in the House and six in the Senate that George W. Bush lost in 2006. …what we saw was collapse of the Democratic coalition that helped elect President Obama in 2008 and 2012. If Democrats were going to hold off a Republican tsunami, they needed their base voters to come out to the polls and pull the lever for the president’s party. That didn’t happen where Democrats needed it to. Especially with young voters. Nationally, Democratic base groups — young voters, single women, African-Americans and Latinos — posted numbers that looked more like the Democrats’ 2010 midterm “shellacking” than Obama’s 2012 re-election victory. Most strikingly, voters 18-29 nationwide were only 13% of the electorate in 2014 (compared with 22% for GOP-leaning seniors.) In the 2010 midterms, young voters made up 12% of the voting public. In contrast, during Obama’s re-election victory in 2012, 19% of the electorate was under 30. Yet Todd and others belittled Obama when he made the point at his press conference Wednesday that the anemic composition of the electorate helped explain what had happened. Ahistorical hysterical wild cats: There’s no denying that when the president’s approval rating is in the low 40s? — as it’s been almost all along; there has been no “plummet” –? when voters are fed up with a government that seems perpetually gridlocked and when you’ve got a chief executive who acts too cool for school and is a communications bungler, as well, his party has a problem. Stupidly, Democrats lost further ground by choosing to run away from the president who, for all his failings, could have helped them turn out younger voters, blacks, Latinos and women. But now to suggest that the historical (and even ahistorical) thumping the Democrats took on Tuesday gives the Republicans a mandate begs the question: To do what? Moreover, even if the GOP comes forth with a program it wants to accomplish beyond approving the Keystone pipeline, cutting corporate tax rates and unraveling the Affordable Health Care Act, it’s hard to see how Speaker John Boehner and Majority Leader to Be Mitch McConnell, will be able to herd the wild cats in their caucuses. “The culture of the Senate, the requirement of unanimous consent to begin action, the existence of the filibuster, and the different world views of many senators compared with their House counterparts makes coordination between the bodies so, so difficult. Remember that Speaker Newt Gingrich was far more unhappy with Senate Majority Leader Bob Dole than he was with President Clinton under similar circumstances in 1995-96,” wrote Norm Ornstein in the Atlantic. 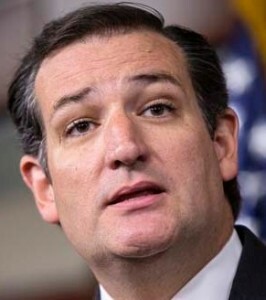 “For McConnell,” said Mark Pomerieau in Epoch Times, “the cards might already be stacked against him as the?Washington Post?reported this weekend that the influential Tea Party Senator Ted Cruz (R-TX) stated he would not pledge support to Mr. McConnell.? Former Republican National Committee Chairman Michael Steele stated in an interview appearance on cable television Tuesday that Senator Cruz is closer to members of the House, which may cause problems for McConnell because as Majority Leader in one house of a bicameral legislature, McConnell will have to build relationships with key members of the GOP House. Locker room castration: Nor is there much evidence, as the nearly useless Tom Brokaw suggested on NBC Tuesday night, that the Tea Party has been sent back to the locker room. “There are plenty of relatively moderate House Republicans, just as there are relatively moderate Republicans in the Senate. The GOP moderates haven’t driven the political conversation in the House, and there’s no reason to believe the new class of 2014 will have any interest in being less assertive,” noted Peter Weber in The Week. “Ernst, North Carolina’s Thom Tillis, Colorado’s Cory Gardner, Tom Cotton of Arkansas — will they follow McConnell’s lead, or dance with the fired-up Republican base that brung them? After five years of saying no to Obama — a strategy McConnell championed — can Republicans suddenly start saying yes? Political parties don’t have the same levers of power and persuasion they did even 10 years ago. Mitch McConnell’s party won the Senate, but his biggest battle may well be with his own caucus,” Weber wrote. Alligators on acid: What compounds the problem for McConnell and Boehner is that they and their caucuses are progenitors of the Death of Compromise, a phenomenon Calbuzz has written about for years. This is an era – now in full bloom in Washington – in which compromise is viewed as capitulation. When Eisenhower lost seats in Congress, he had Sam Rayburn there willing and eager to cut deals; Reagan had Tip O’Neill. Compromise was – and is – how you get things done in a constitutional democracy. Unless, like Cruz et. al., you don’t believe in it. Like Cruz’s ideological godfather, Rush Limbaugh, said Wednesday on the radio: There’s only one reason why Republicans got elected — to stop Obama. “Republicans did not get elected to govern,” said Rushbloat. Do nothing — that is their ultimate goal. 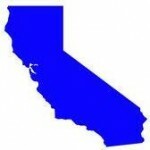 California remains true blue: While Republicans across the nation crowed and claimed an alleged “mandate,” California Democrats once more triumphed by sweeping all eight constitutional offices, starting with Jerry Brown’s capture of an unprecedented fourth term as governor, as they stopped the GOP wave at the Sierra. In the most favorable political atmosphere imaginable – a very small and very conservative turnout of voters bristling with rage against the other party’s president – Republicans won a few extra House and legislative seats, but still haven’t won a statewide post since 2006, an impressive streak of political failure. But Mr. Beef won some bragging rights: Jim Brulte, the big, burly boss of California Republicans, denied Democrats a two-thirds majority in the state Senate by winning two toss-up seats in Orange County and the Central Valley, and has a chance of doing the same for the Assembly when all the votes are tallied in some still too-close-to-call districts. Brulte vowed to return the GOP to relevance by rebuilding from the ground up when he took over as state party chair last year; while legislative super majorities these days are more symbolic than substantive, he also can claim partial credit for ousting at least two Democratic House incumbents, if nail-biting numbers hold up in final returns. Democrats are really, really old: “When I had hair, Methuselah was walking the streets,” Brown cracked at an appearance in Torrance a few days before the election. Perhaps unintentionally, his self-deprecating joke highlighted the irrefutable fact that many longtime Democratic stars are getting awfully close to their sell-by dates. Dianne Feinstein (81) and Barbara Boxer (74) both lost powerful committee chairs in being pushed back to minority status amid the Republican’s recapture of the Senate, and must be mulling retirement; from Brown (76) and House Minority Leader Nancy Pelosi (74) to party chair John Burton (81) and a host of geezer Congress members (hello Lois Capps, 76) it’s time to let a new generation – AG Kamala Harris, Lt. Governor Gavin Newsom and Treasurer John Chiang, for starters — ?have a crack at top-level jobs. Neel Kashkari, bargain hunter. Four years ago, Meg Whitman spent $150 million for the honor of losing to Jerry Brown by 13 points; this time, vanquished Republican wannabe Kashkari achieved virtually the same result by forking out less than five percent of that amount. Neel made a lot of rookie mistakes, but deserves credit for trying to wrest control of the state party from the grip of grumpy old white men and evangelical right-wingers obsessed with what other people do with their private parts. “I’m just getting warmed up,” Kashkari said in his concession speech, and we expect to see him back in the campaign mix two or four years from now. The lock ‘em up era may be ending: The most profound and lasting impact of this election may be the low-profile passage of Proposition 47, which is likely to change dramatically how the criminal justice system operates. Beginning with Jerry Brown’s very first term, Californians consistently voted for ever-tougher law-and-order sentencing measures of the Three Strikes genre, one big reason why the U.S. has the second highest incarceration rate in the world and the state’s massive prison system is illegally overcrowded. With Prop. 47, state voters ignored the pleas of the cop community and downgraded a host of low-rent drug and property crimes from felonies to misdemeanors, a breathtaking change of pubic opinion with implications that just began to sink in. The CTA rules: The campaign for state Superintendent of Public Education pitted two different kinds of Democrats against each other: incumbent Tom Torlakson has close ties to traditional labor liberals and the California Teachers Association, with its longtime control of work rules that favor seniority and make it all but impossible to dump bad tenured teachers; challenger Marshall Tuck is allied with charter school advocates and Arne Duncan-style reformers favored by Silicon Valley Democrats and more moderate, if plutocratic, members of the party. The race was billed as a tightly contested faceoff between competing philosophies, but in the end Torlakson won easily, proving anew that the CTA is the most powerful special interest in California. All hail Gale Kaufman. Jerry fails to cover the spread:?OK, it was a fourth term, which is historic, and he ran better than anyone else in his party and, sure, he’s saving his millions of campaign contributions for potential ballot fights in his final term and, of course, he’s notoriously frugal, but jaysus, you’d think Gandalf would want to beat his former Chief of Staff Gray Davis’s 1998 20-point (58-38%) margin over Attorney General Dan Lungren! Brown did get 59%, but that was just 18 points over Kashkari’s 41%. And he could have done it easily: Propositions 1 & 2, for which he did campaign, got 67% and 69%. All you bettors who took Neel and the points, you win. ?Your Calbuzz secret decoder rings are in the mail. If the polls are correct, and they usually are, Jerry Brown will demolish Neel Kashkari on Tuesday. In fact, much of the speculation among California pundits (see: Calbuzz election line) these days revolves around a single figure: the percentage of the vote by which Brown will win re-election. Except for stalwarts in the Kashkari campaign, the only question among political junkies now seems to be how much of a defeat he will suffer. Politicians are generally not masochists.? (Well, there was Harold Stassen.? 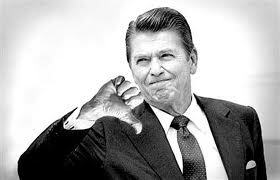 He ran for, and lost, the Republican presidential nomination in 1948, 1952, 1956, 1960, 1964, 1968, 1972, 1976 and 1988.)? Leaving aside nine-time-loser Stassen, though, what motivates a politician to wage a forlorn campaign that can only end in crushing disappointment? Counting the crowd: Some believe that rational candidates run doomed campaigns because they want to get their name out there and set the stage for a future run for something, somewhere.? One or two stumbles don’t spell doom. Richard Nixon was defeated for the presidency, defeated for the governorship of California, and was then elected president of the United States. Maybe there’s a post-election book deal out there, or a gig on Fox. 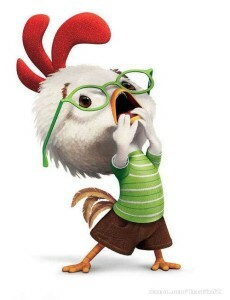 And remember, even in defeat, Kashkari will become known up and down the state by November.? Name recognition is gold in politics, and now he’ll have it.? Gangway for 2018! But think about this: To the underdog candidate, it’s not a forlorn campaign.? He or she is a center of attention.? The candidate speaks before adoring audiences made up of the party faithful, even if they are outnumbered 10 to one by the opposition.? People come up to the candidate and tell her how wonderful she is.? Making a speech before 200 vociferous backers can easily lead to a belief that the adoration is universal.? I mean, look at that crowd! Politicians are usually commanding, take-charge types, and few of them believe that they can ever be on the losing end of just about any kind of competition.? The personality disorder that moves some people to become politicians not only demands attention, it fosters the belief that the politician is smart enough to pull this out by working hard, never mind what the media say. Kashkari’s political future depends on how good an actor he is.? If his concession speech is bitter and resentful of the raw deal he got from those fool voters, forget about a future in politics.? But if he is gracious in defeat and voters watching him on television go away thinking, “Well, at least he’s a good sport,” maybe something might be possible down the road. 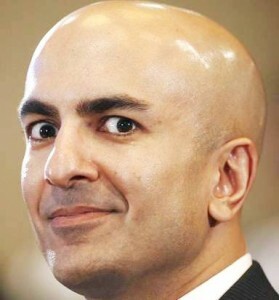 I, Neel: At the very least, Kashkari’s every utterance from now on is guaranteed at least some degree of attention.? Jimmy Carter is on television all the?time.? There was even a play about him in New York.? Bob Dole is now an admired elder statesman. And there probably are a few sweet memories, like flecks of gold in a hunk of quartz.? Who knows?? Maybe there will be future opportunities to be adored. Chuck McFadden is a former political reporter for The Associated Press and the author of “Trailblazer: A Biography of Jerry Brown” published by the University of California Press.